Newton Excel Bach today completes its second year in the Blogosphere, and as last year I have downloaded the statistics for number of hits on each post, and pasted them into an Excel worksheet. 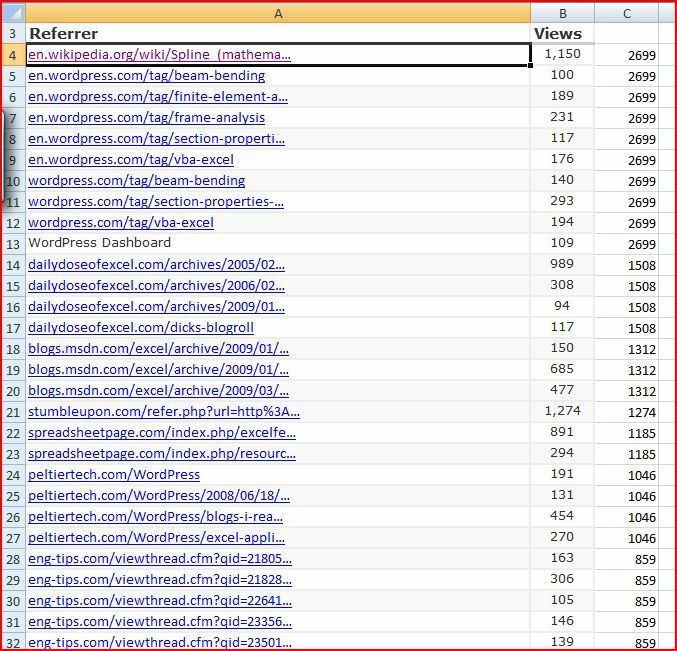 The link to each post is preserved in the spreadsheet, so it makes a convenient index to what has been posted over the year, which can be downloaded here. 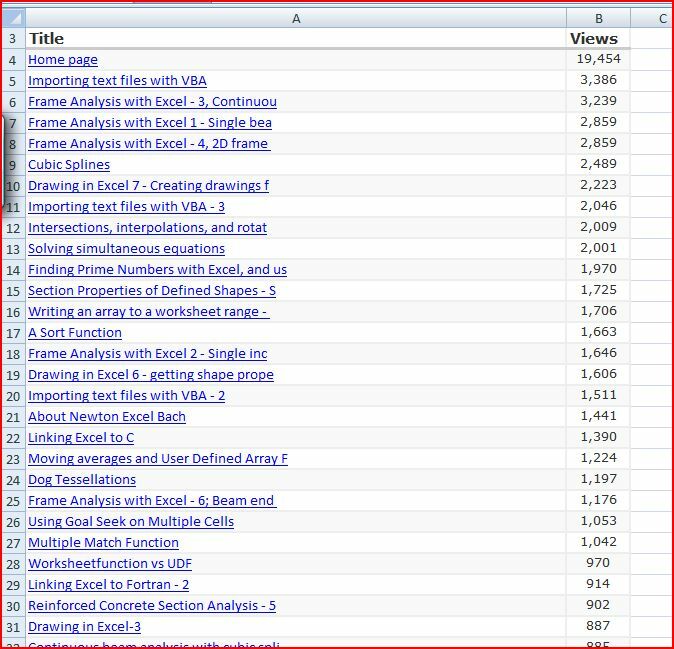 Of those posts made in 2009, the Frame Analysis series were clearly the most popular in the “Newton” category, and Writing an array to a worksheet range was the most popular of the Excel related posts. In the “Bach” category the Crab Canon on a Mobius Strip was the most popular of the non-science or Excel posts in 2009. … and everyone else who posted links but didn’t make the list.